Six feet long, 29” tall and 19” deep. The entire building process is documented HERE. 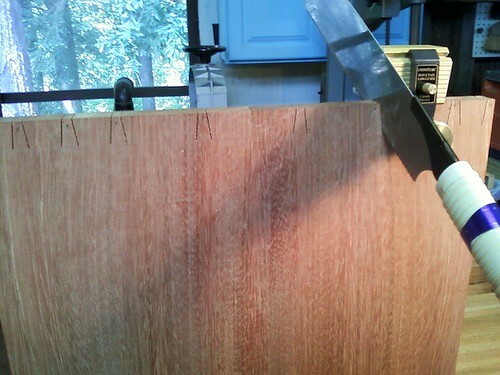 The top and sides are bookmatched Jatoba (Brazilian Cherry). 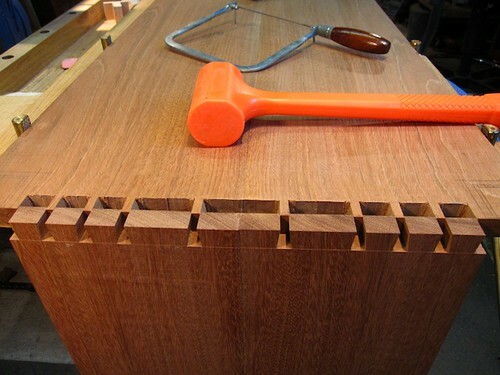 The grain runs up one side, along the top, and down the other side, and is joined in the upper corners by hand-cut, variable width and spaced dovetails. 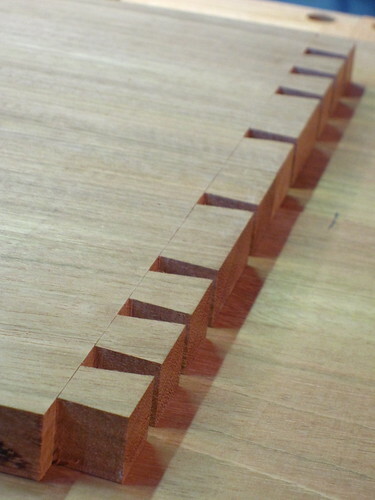 This is the first time I have ever hand cut dovetails for a project! 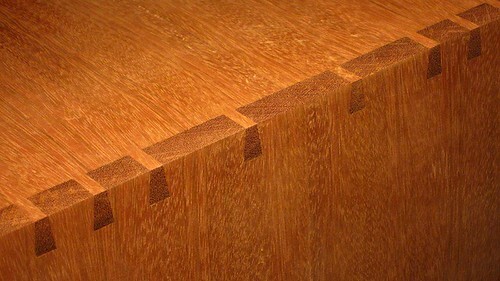 The fronts are figured Jatoba. 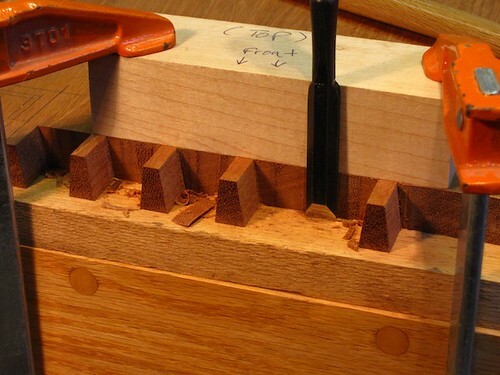 The shaped legs, which flare out in all four directions are made from Mahogany. The Aluminum pulls were custom made by a local machinist to my specifications. 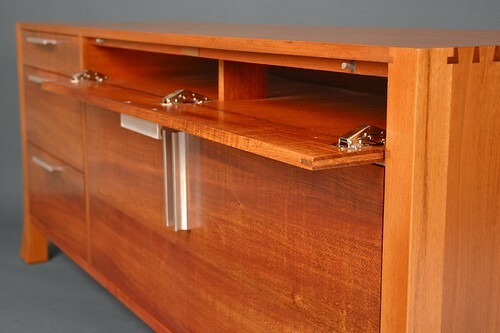 All drawers and doors have Blum “Blumotion” smooth-closing hardware. It was finished professionally with conversion varnish. The concept for the face layout is loosely based on the Golden Mean mathematical concept. Not so much for the proportions, but the sequence of numbers is what inspired my design. One door, two doors, three drawers, etc. 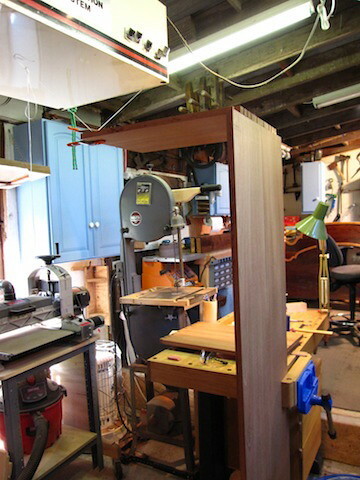 The upper skinny door pops down to allow remote control access to slim electronics such as a DVD player. The two doors below have space for more electronics and are vented in two places for heat dissipation. 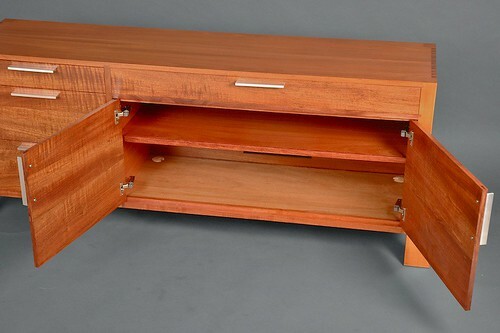 The three drawers with Blum under-mount slides have lots of storage for DVDs, board games, etc. It took over 150 hours to complete this project. I’ve been working on it for almost a year, off and on. This one’s not for sale, I plan to keep it for my own home. Blake, your work never ceases to amaze me. Absolutely top notch stuff here from you once again. I’m a big fan… always impressed. 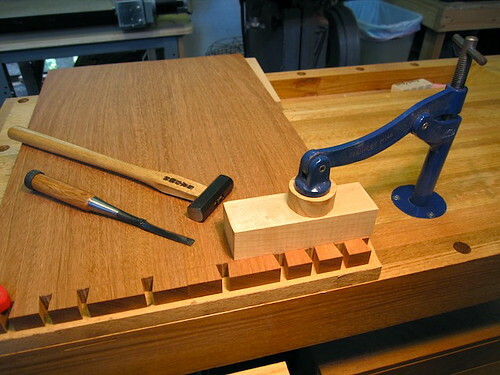 The jatoba is amazing and you absolutely nailed the dovetails. Very very well done my friend. 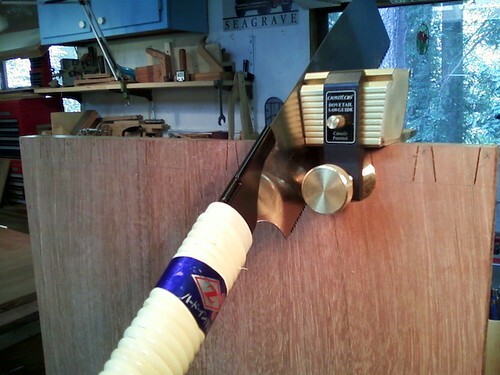 -- I restore the finest vintage tools! 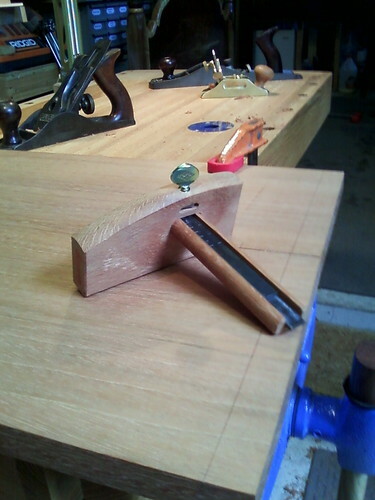 If you need a nice plane, saw, marking tool or brace, please let me know! Nice to see the finished product, I have been following the blogs on the build with interest over the last year, Thanks for posting this wonderful project, you are an inspiration to us all. Blake hope all is well! Beautiful work as always. 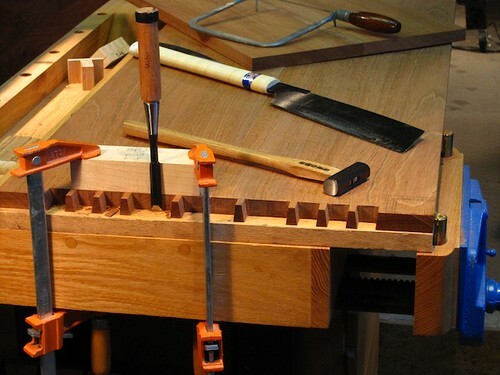 Your a true Craftsman! 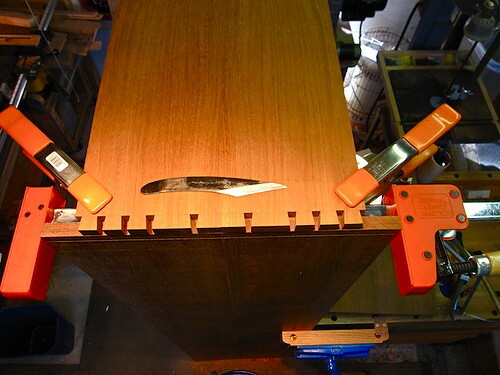 Keep it up, love reading the blog on this and great tip on the sandpaper as well. WOW what a project! Very sweet, Blake. The long hours have done you proud. As always your work is absolutely top notch. 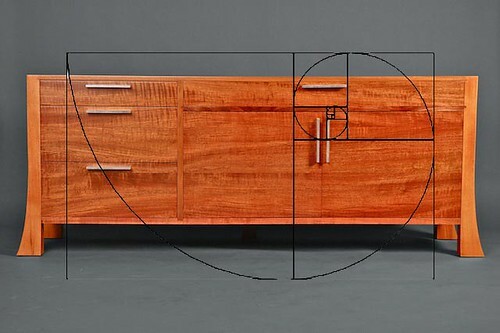 That’s a nice piece. I checked out the build blog as well. I like your design, it is definately visually appealing. 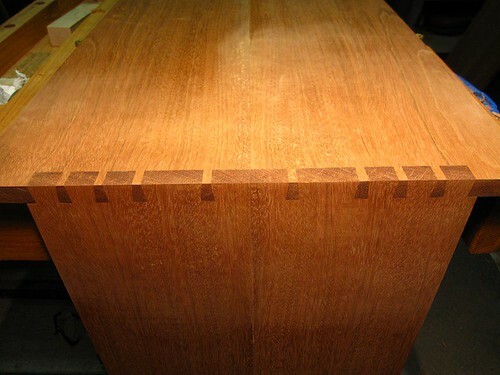 The dovetails look great and I like how the legs are tied in with the top. Beautiful Blake, attention to detail on this really shows. 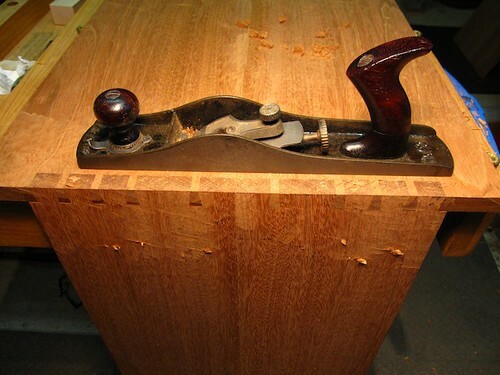 I like the flow of the grain on the front and the joinery is top notch. Congrats on a super build, Blake. It has been fun to watch this come together. Thanks for sharing that process. That’s very nice work; it’s beautiful. Blake that is one outstanding piece of furniture. I love the lines of it. 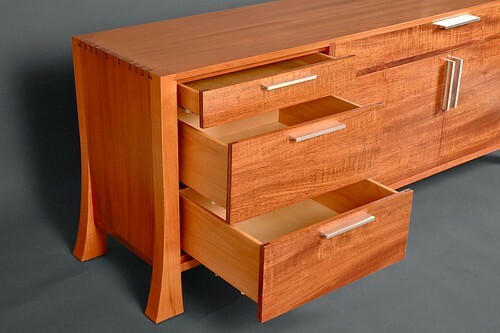 Blake Beautiful piece of furniture. Use it proudly. that is beautiful Blake! Its amazing all the work you put into this and all your other projects and it really shows because they are perfection! Simply stunning work Blake! I would expect no less from you. Flat out awesome!